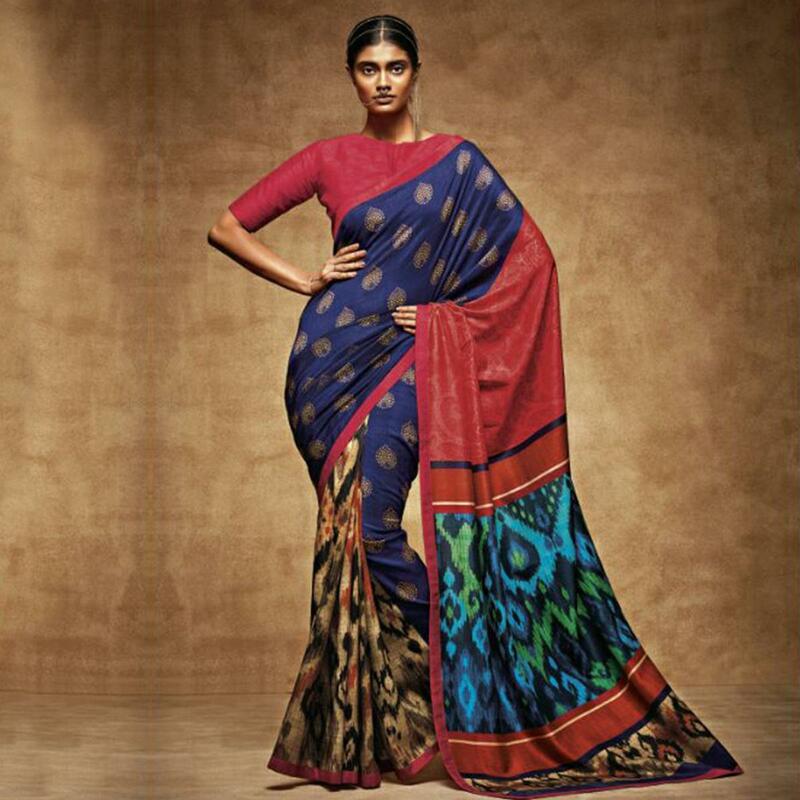 This navy blue - red colored saree is perfect for the one who wants to get a unique look. 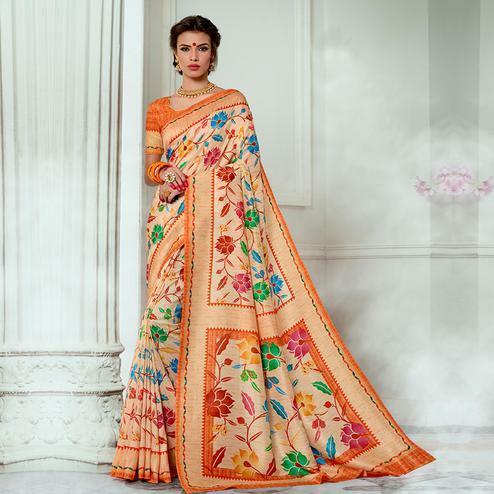 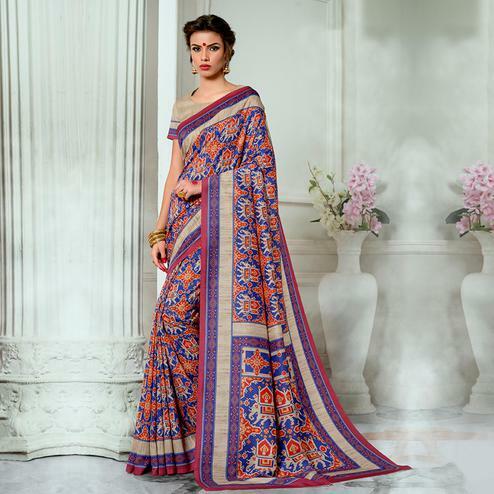 The saree look has been made rich with it various patterned digital print work done all over the attire. 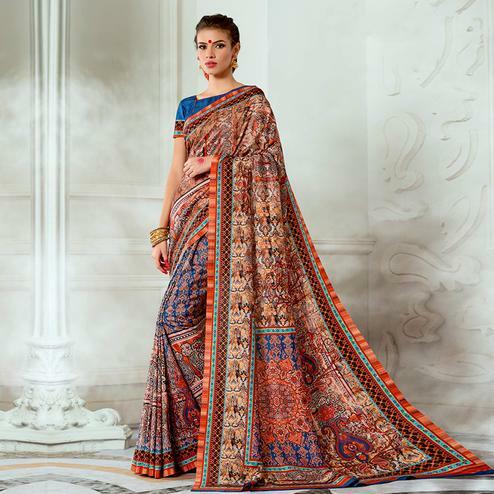 Saree made from pure tussar silk fabric with rich color & texture makes it your ideal choice. 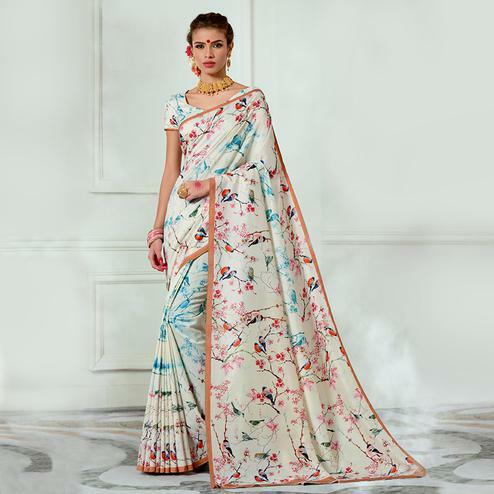 It's a perfect saree to wear at kitty parties social functions & casual outing. 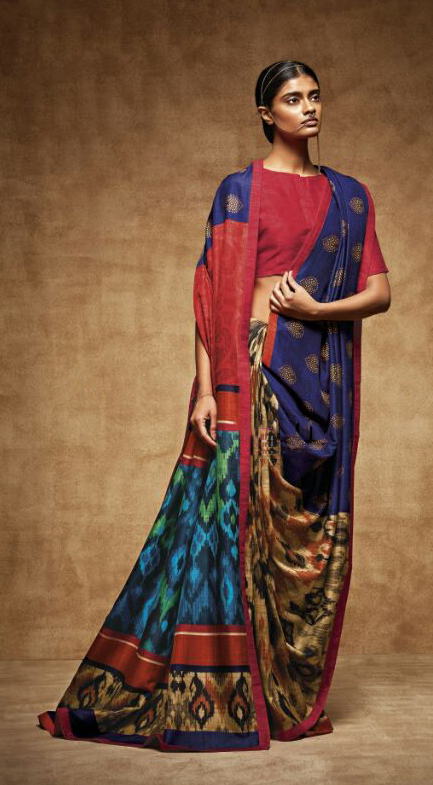 Paired with matching blouse piece.